Our church has people who aspire to be spiritually mature. 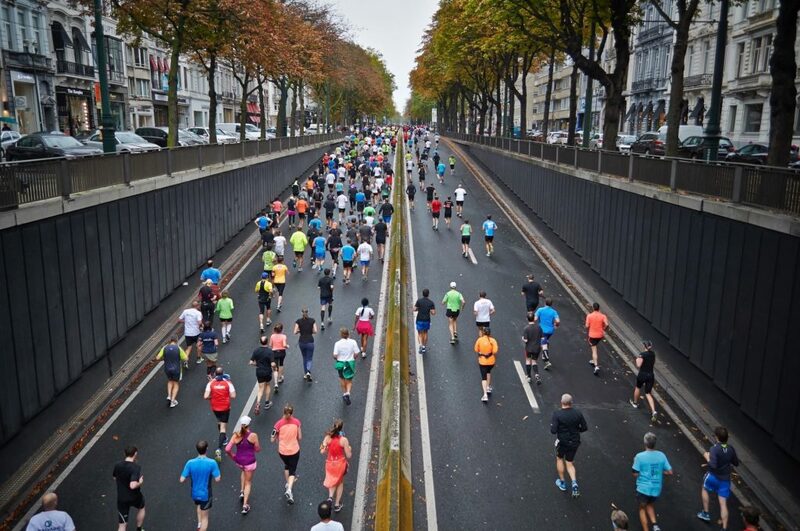 This is a good thing, but should we think this can occur without making some changes from the over-active lives we live, we err. The integration of our spiritual walk with our daily experiences must become natural and blended so much that we can’t distinguish one from the other. Studying Scripture has importance well beyond academic purposes for the Father desires to see our lives revealing obedience to what we learn. We care for others and share Jesus’ love because He has become our Savior in every sense of the word and He loves through us! We grasp that our relationship with Christ is beyond emotional music, feelings experienced at camp, fun with Christian friends or even listening to a “famous television teacher!” With Jesus as our model, we remember that He served the spiritual and physical needs of mankind “as He was going”in His daily routine/life. “As you are going/walking today in Christ,” it would be my hope that you don’t have to concentrate too heavily to be the Biblical “salt/light” that you should naturally be as you trod this earth! My hope is that the Father’s identity in your life will be so real that others will feel the overflow of God’s love in who you are. 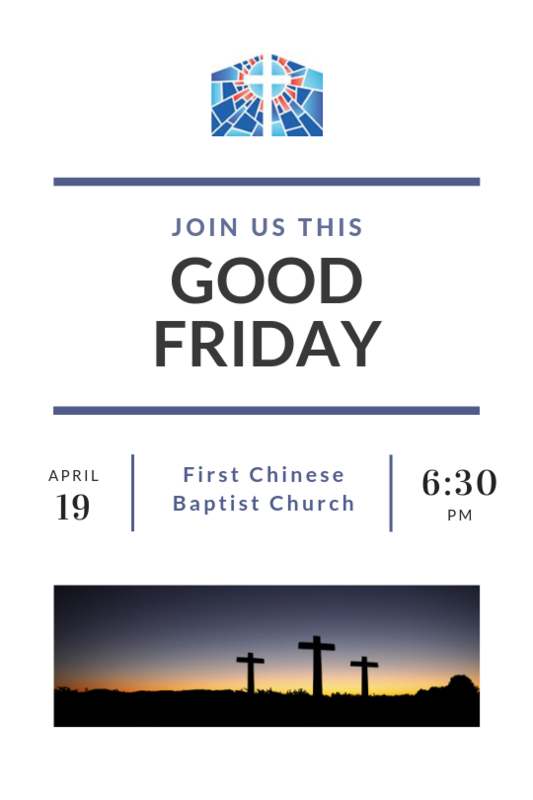 May being like Jesus make us an integrated body of Christians that impact all that come in contact with the people of FCBC. 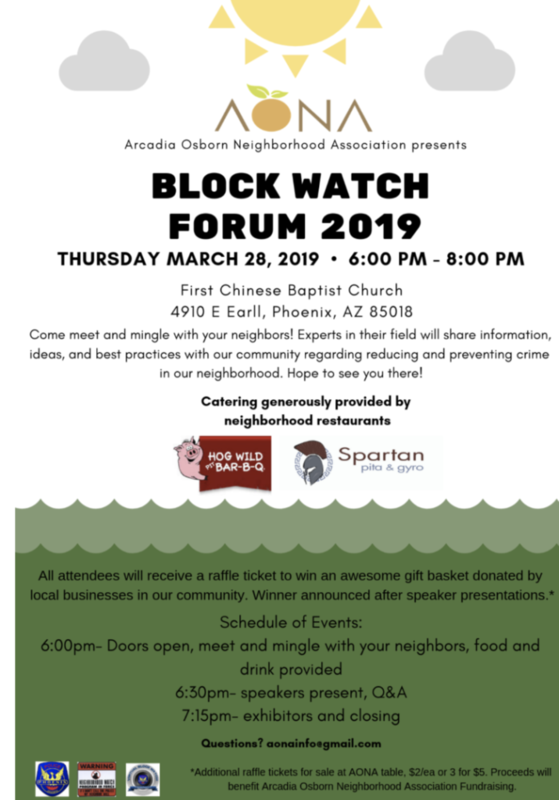 First Chinese Baptist Church is excited to be hosting our local Arcadia-Osborn Neighborhood Association’s Block Watch Forum 2019! Come by this week on Thursday, March 28th, to learn more from special guest speakers about best practices for the community while reducing and preventing crime. As an active member of the neighborhood, FCBC’s focus is to lead, engage, and care for all people in our community. 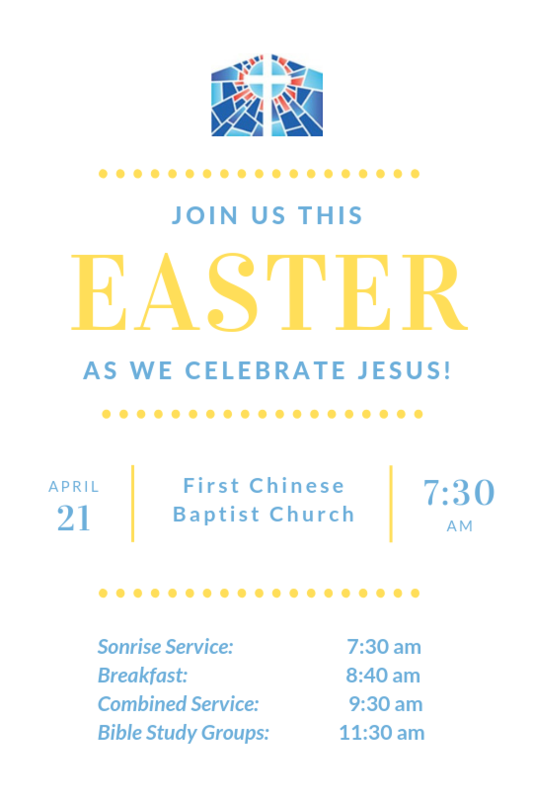 First Chinese Baptist Church of Phoenix, AZ will be participating in the Annie Armstrong Easter Offering which supports missionaries and allows them to reach people for Christ all across North America. On Saturday morning, Sue and I visited a 70-year-old friend in a hospice nearby. On Saturday evening, this friend went to be with her Lord. On that same day, I learned of the “Life Celebration” for a 57-year-old co-worker whom I had worked alongside for years. He was a dedicated missionary, but illness pushed his departure from this world very early. I mention these two examples to remind us that time, and how we use that time, is important. We often joke that if we “blink our eyes three times, 10 years will have gone by!” If we look at Biblical examples, we can find individuals with very focused lives. Of course, those individuals didn’t have the same amount of advertising and “me first” materials coming at them daily as we do. Our world’s goal is to convince us that life is only about meeting our personal needs. 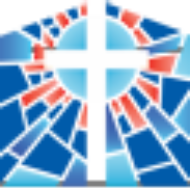 Indeed, there are even so-called “Christian materials” that push our comforts and our needs before the concerns and values of God. I suppose this is one reason that I so greatly respect the “I Am Second” videos that we sometime share in worship services. Within those videos, we are reminded that the our primary focus for how we use our lives and time is not on me, my family, my activities, my career, my reputation, or my anything. The goal in our lives is to be HIS FIRST with all the decisions and planning centered around the Will of God. My prayer for you and me is that we may slow down a moment and reflect on the life that God has given to you. We don’t know much about tomorrow, but we do know that we are surrounded by people with needs more intense than ourselves. 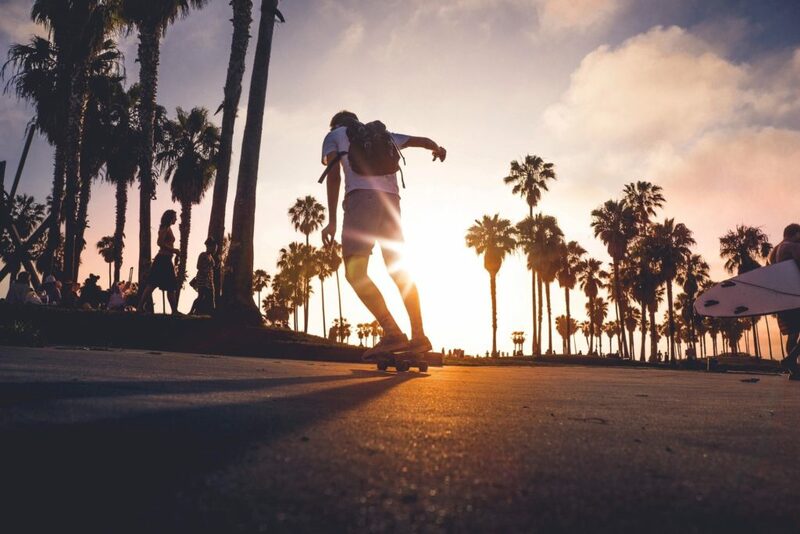 With Jesus as our model, and our Lord, is there a need for all of us to use our time and lives more for the meaningful purposes of serving His desires? We have but one life to spend in the name of Christ.